Here it is, Babyologists. 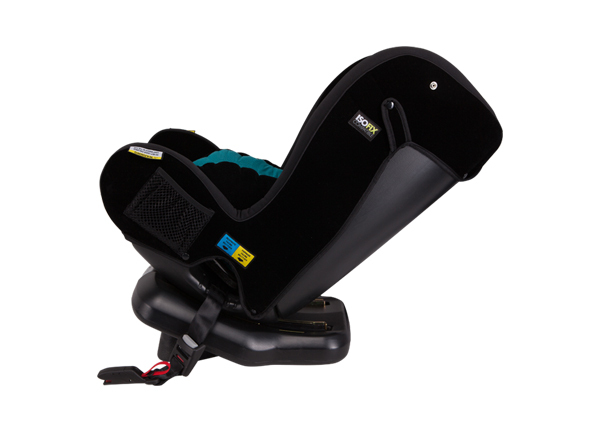 The first ISOFIX compatible child car seat from the car safety experts over at InfaSecure, coming soon to a baby store near you. And wasn’t it worth the wait! 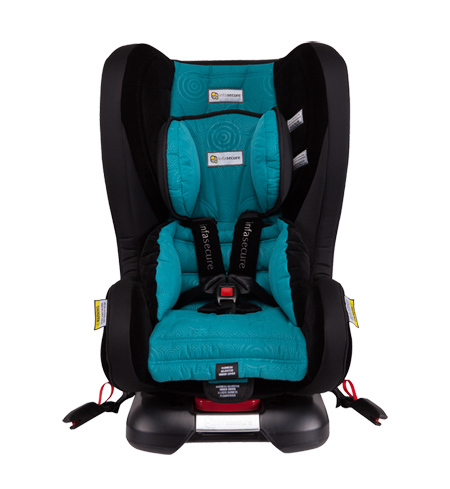 The Kompressor II Luxury is a new convertible car seat in the InfaSecure line-up that is designed to be used from birth until four years old. 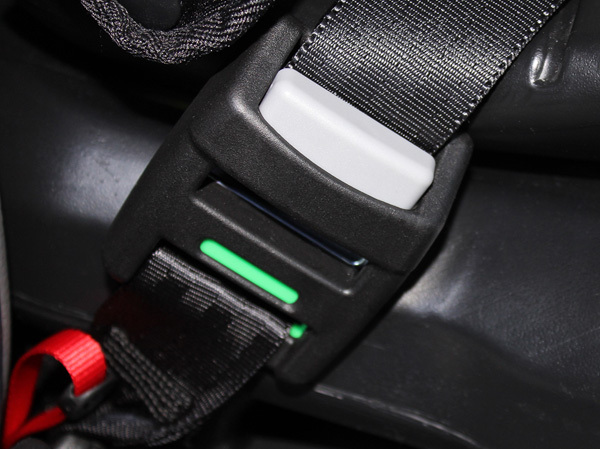 It is the first child car seat from InfaSecure to use the new ISOFIX system. And – here’s the bit that you’re all chomping at the bit to know – it is expected to land in stores in mid-December. That’s perfect timing for the Christmas family road trip. 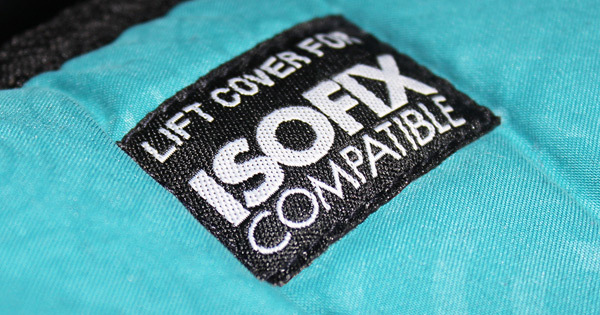 Of course, the Kompressor has been a part of the InfaSecure family for a while now, but the InfaSecure team didn’t just add ISOFIX compatible connectors to the existing model. 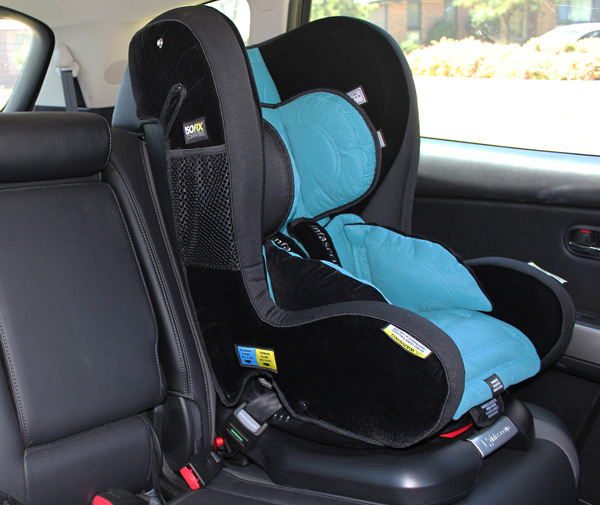 Instead, the safety and design team completely redesigned the Kompressor, taking all the best bits that everyone already loved about these super-safe and practical infant car restraints and improving on them to create an ISOFIX-compatible car seat that’s worth getting excited about. Now here are the important things you need to know about the Kompressor II Luxury. It has an all-new shell design with new side wings and a taller backrest that together work to give better side impact protection to your child without impacting on the Kompressor’s in-demand narrow design. So you’ll be happy to know that the new, improved Kompressor II is still extremely compact and the short rearward facing depth makes it the perfect restraint for smaller cars and their more compact rear seats. Flexible ISOFIX compatible connectors mean the Kompressor II can be installed quickly and easily in ISOFIX-ready cars. The seat’s base has been redesigned to make it even more compact, while the patented ultra-narrow recline swing base ensures ready access to your car’s ISOFIX anchorage points, with no fumbling or straining. InfaSecure also cleverly include a unique pull-loop release to make removing the ISOFIX connectors much easier when required as well as putting a hidden compartment inside the seat base to store the connector neatly when not in use rather than leaving them to clutter up the back seat. Smart, aren’t they? The infant head rest and pillow has also been redesigned to provide the same excellent support for newborns, but with a roomier, comfier ride. And here’s the final detail on the new Kompressor II that will have parents whooping for joy, especially with all the other expenses families face at this time of year – it’s the most affordable ISOFIX compatible restraint available! The Kompressor II Luxury will retail for $449.99 – that’s up to $200 less than other Australian ISOFIX restraints. The Kompressor II Luxury will be available in all six Caprice Swirl colours. Find it in all good independent baby stores from mid-December, 2014.